Dealing with damaged rims is a total headache for car owners everywhere. Besides the unsightly appearance of a distorted rim, the damage also leads to unbalanced wheels- a condition that can lead to more problems as well as possible collisions and crashes in the future. Typically, mag wheel repairs are costly. Can you really perform rim repair at home? There are some car owners who attempt mag repairs on their own. If you value your car, you would not really trust yourself with the repairs. Unless you are a car specialist or have adequate knowledge of cars, it’s best to entrust wheel repairs to the experts. Another reason why DIY mag wheel repairs are not recommended is the cost. When you do DIY mag wheel repairs, you will need to purchase a few products and tools to get the job done. In addition, you will need to make sure that the instructions you have on hand are accurate. It is also difficult to purchase some items such as the coating spray, which needs to be of the same colour as the OEM wheels. The purchase of materials is just as expensive as going to an expert mag wheels repair specialist in Sydney. In addition, it will take a longer time for an inexperienced individual to repair wheels. So how is professional mag wheels repair the better solution for damaged wheels? For starters, you don’t have to get your hands dirty when you bring your car to a mag repairs specialist. Traditionally, car manufacturers recommend sending your car to their centre for repairs. Although you are guaranteed quality and efficient work, this also means a higher price tag for their rim repair services. Why spend more when you can get the same level of expert repair service going to a reputable, independent car wheels specialist. Whether you have bent, scraped, or gouged mag wheels, an expert wheel repair specialist can resolve the issue without even removing the tyres from your car. They will look like brand new once the mag wheels repairs have been completed. 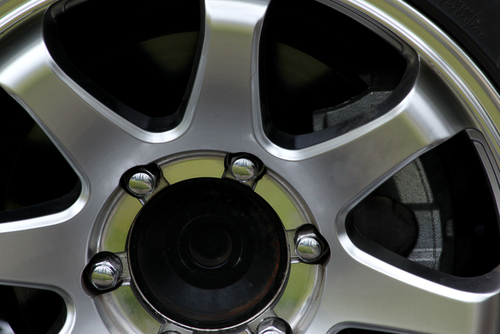 Click here to check out the mag wheels repair services that we offer to residents of Sydney. If you want to request a quote, feel free to call us on 0421 136 101.